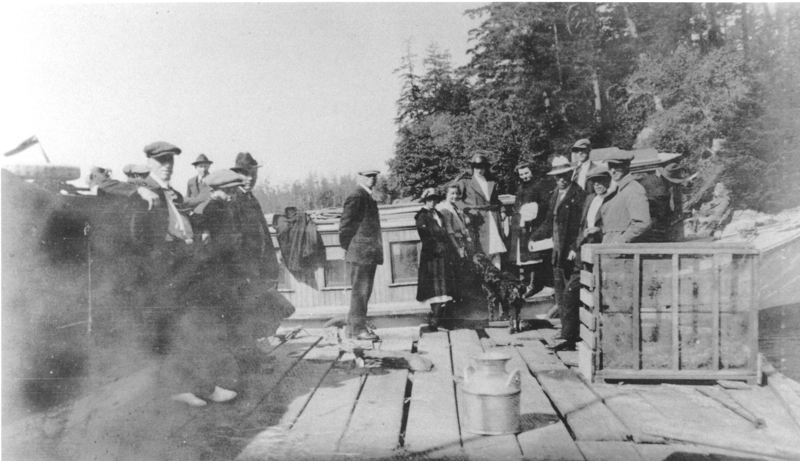 Since the first settlers arrived on Gabriola, efficient and reliable water transportation has played an integral and necessary role in island life. Many of the bays and inlets around the island are navigable and accessible for water craft such as canoes, kayaks, boats and ferries. 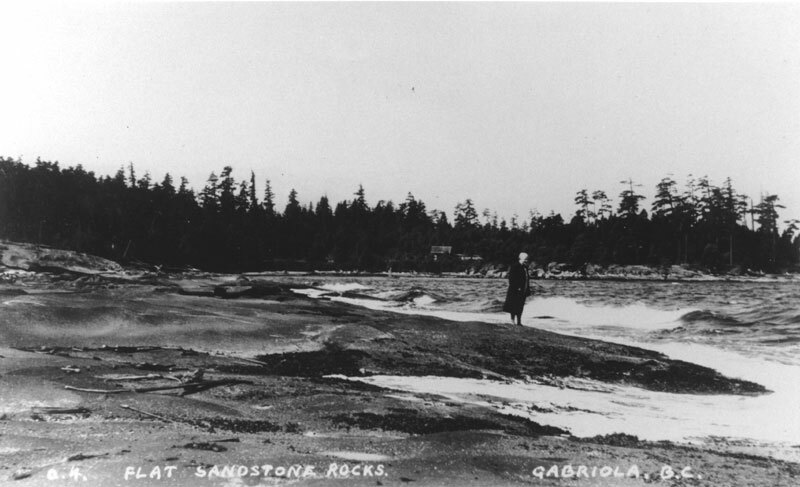 However reefs, sandbars, rocks, and rough waters make some of Gabriola’s bays unusable for water craft. Several wharves and piers have been used by islanders through the years. Some no longer exist, others are in disrepair, and those like the government wharf at Degnen Bay continue to provide mooring and safe access for the mariners along the west coast of BC. 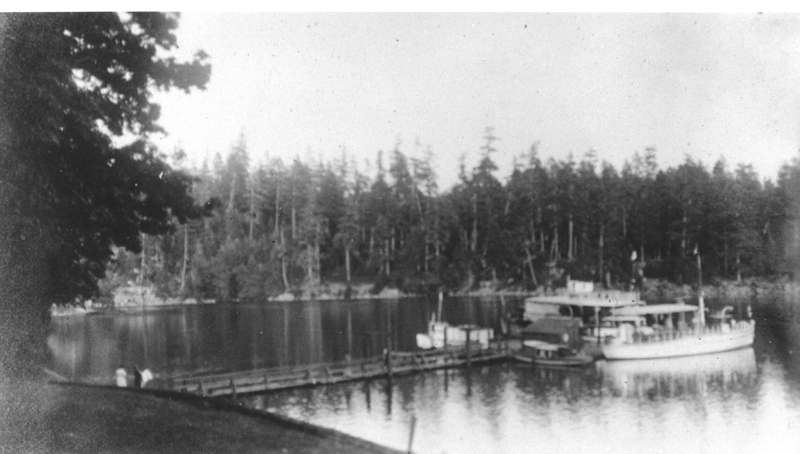 Below are some examples of the bays and wharves that have played a part in Gabriola’s history. Photo of the Degnen Bay wharf. 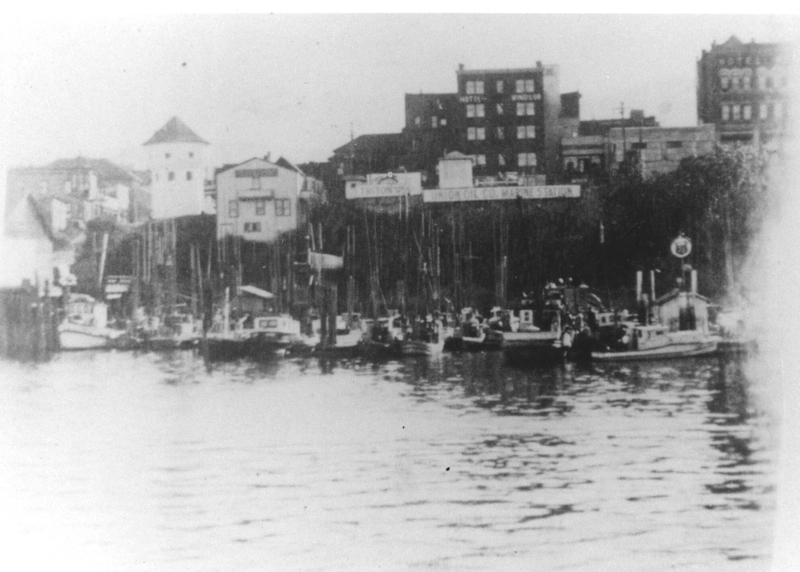 Several boats are docked at the wharf; two people stand at the entrance to the dock. View from the water.Boats, steep cliffs. Downtown Nanaimo Harbour view. Bastion on the left. Wharf with boats, Farmers' Landing, two hotels. 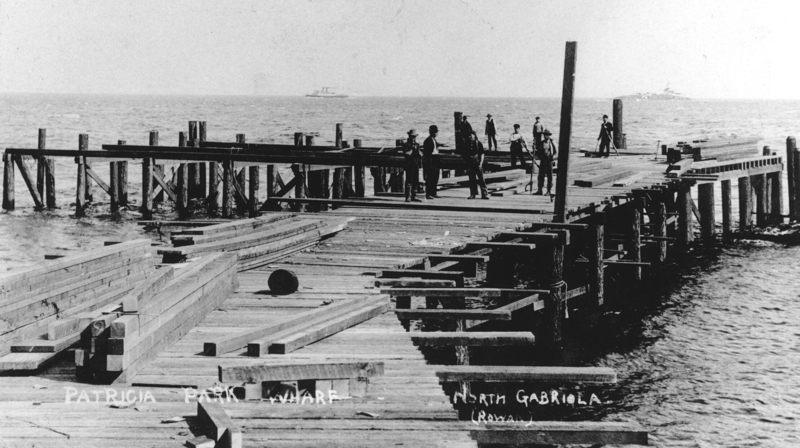 Wharf at Clark Bay, planned for CPR boats. 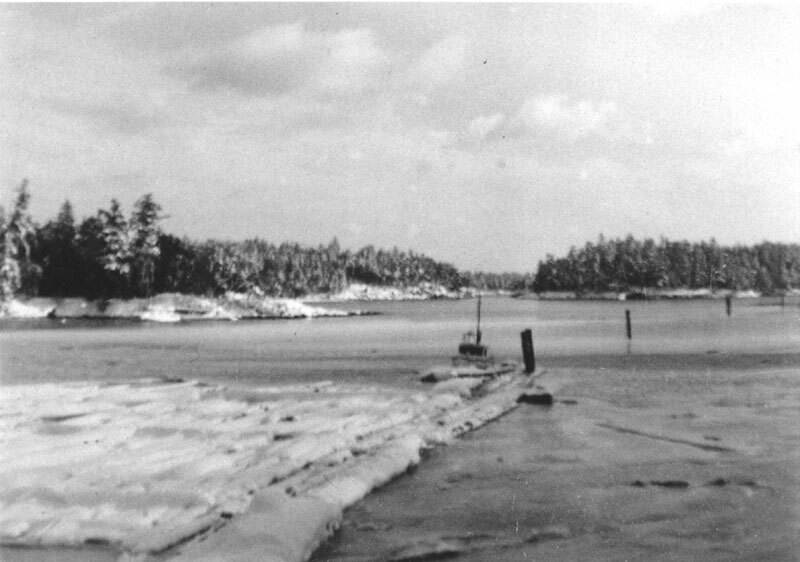 Legend: "PATRICIA PARK WHARF - NORTH GABRIOLA (ROWAN)"
Entrance Island can be seen in the far background. On back: "Clark Bay, Gabriola opposite Lighthouse entrance. It was planned that the CPR boats land here"
Legend: "THE MAPLES -- GABRIOLA B.C." Boats in the Bay, looking north from the middle of Silva Bay. 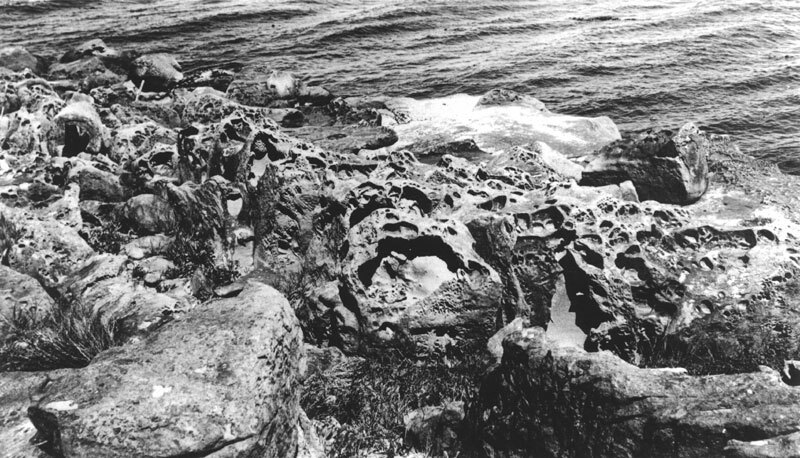 Black and white photo on postcard stock of woman standing on rocky shore. On fron is written, "Flat sandstone rocks. 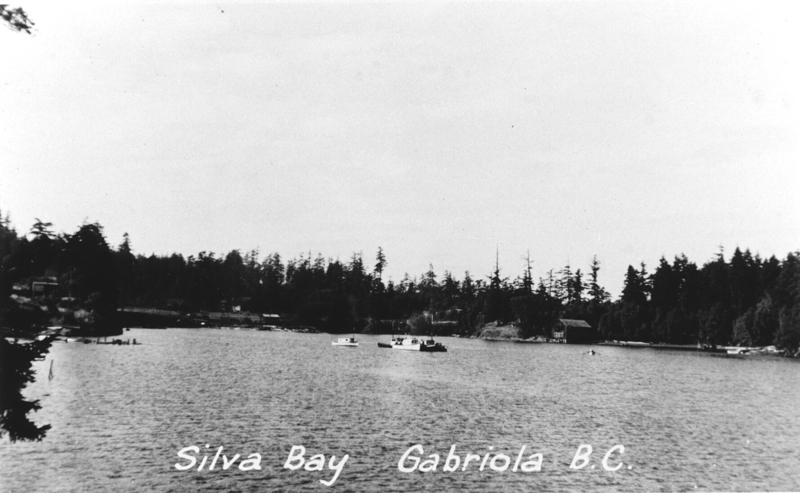 Gabriola, B.C. 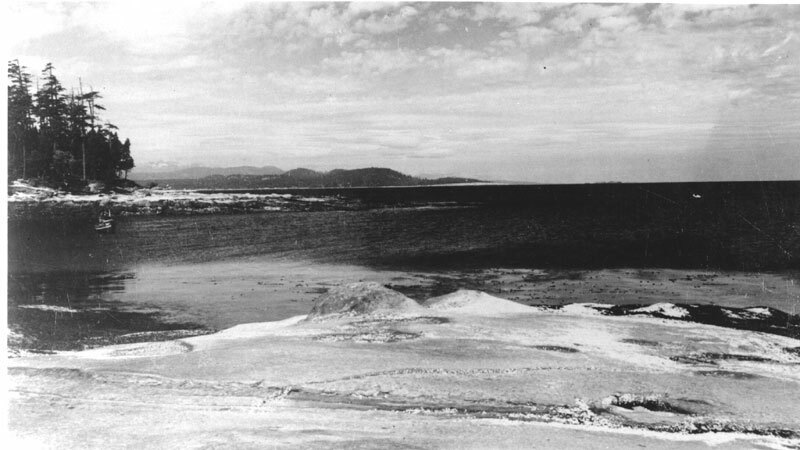 Photograph of a frozen over Silva Bay with snow on the ground.